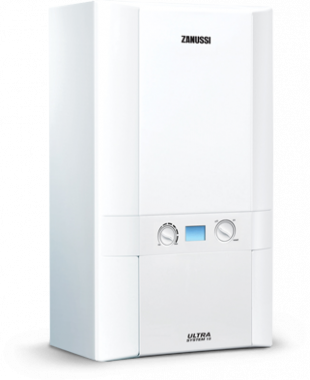 The 23kW Zanussi Ultra System is lightweight at just 34.1kg, includes a 10 year warranty and has built in frost protection. This model includes the latest generation Honeywell gas valve and a two stage flame sensor. It is perfect for houses with more than one bathroom. We are unable to display a price range for this product as all prices are only available on application or at installation. We recommend comparing at least two quotes so you can get the best price for this boiler. Get in touch via our enquiry form and receive up to 3 quotes.